Joseph Henry Ranft (March 13, 1960 – August 16, 2005) was an American screenwriter, comedian, animator, storyboard artist, voice actor and magician who worked for Pixar Animation Studios and Disney at Walt Disney Animation Studios and Disney Television Animation. His brother, Jerome Ranft, is a sculptor who also worked on several Pixar movies. He received an Academy Award for Best Original Screenplay nomination as one of the writers of Toy Story (1995), and was also co-director on Cars (2006), his final work. Ranft was born in Pasadena, California, and raised in Whittier. As a child, Ranft developed a love for magic, storytelling, film and comedy. At age 15, he became a member of the Magic Castle Junior Group. After graduating from Monte Vista High School, Whittier, in 1978, Ranft began studying in the character animation program at the California Institute of the Arts alongside John Lasseter and Brad Bird. After two years, Ranft's student film Good Humor caught the attention of Disney animation executives, who offered him a job. In 1980, Ranft joined Disney as a writer and storyboard artist. During his first five years with Disney, Joe worked on a number of television projects that were never produced. Later in his Disney career, he was promoted into the Feature Animation department, where he was mentored by Eric Larson. Ranft later spoke about training under the Disney legend: "He always reminds me of just the fundamental things that I tend to forget. You know, it's like, animation is so complex; 'How many drawings are in there?' and stuff, but Eric always comes back to like; 'What does the audience perceive?'" Around this time, he studied under and began performing with the improvisational group, The Groundlings. Ranft stayed with Disney throughout the 1980s, writing the story on many animated features, including Oliver & Company, The Lion King and Beauty and the Beast. He also worked on The Brave Little Toaster in 1987 for Hyperion Animation and James and the Giant Peach in 1996 for Allied Filmmakers. Ranft reunited with Lasseter when he was hired by Pixar in 1991 as their head of story. There he worked on all of their films produced up to 2006; this included Toy Story (for which he received an Academy Award nomination) and A Bug's Life, as the co-story writer and others as story supervisor. His final film was Cars. He also voiced characters in many of the films, including Heimlich the caterpillar in A Bug's Life, Wheezy the penguin in Toy Story 2, and Jacques the shrimp in Finding Nemo. In the movie Monsters, Inc., Ranft had a monster named after him (J.J. Ranft) as most of the scarers in the film were named for Pixar staff. Ranft used a German accent to voice Heimlich the caterpillar in A Bug's Life and a French accent to voice Jacques the shrimp in Finding Nemo. He was also given lead story credit on The Brave Little Toaster (1987) and voiced Elmo St. Peters, the appliance salesman. His favorite writers were Kurt Vonnegut, Hunter S. Thompson, and Tom Wolfe. His favorite magicians were John Carney, Daryl, Michael Ammar, Ricky Jay and Jimmy Grippo. He was posthumously honored in 2006 as a Disney Legend and in 2016 with the Winsor McCay Award, the lifetime achievement award for animators. On August 16, 2005, Ranft and his friend Eric Frierson were passengers in Ranft's 2004 Honda Element, which was being driven by another friend, Elegba Earl. Earl suddenly lost control and crashed through a guard rail while northbound on Highway 1. The SUV plunged 130 feet into the mouth of the Navarro River in Mendocino County, California. Ranft and Earl were both killed instantly. Frierson survived by escaping through the sun roof, though he received moderate injuries. Ranft, who was 45, died during the production of Cars, which he co-directed and voice acted in. The film and tie-in game are dedicated to his memory, as is Tim Burton's Corpse Bride, on which Ranft was executive producer. Ranft is survived by his wife Sue and their two children, Jordan and Sophia, and his brother Jerome. Henry Selick called him "the story giant of our generation." In honor of Ranft, in Selick's animated film production Coraline, the moving SUV that moves Coraline into her new apartment is emblazoned with a "Ranft Moving, Inc." logo. The movers themselves are modeled after Ranft and his brother Jerome; Jerome Ranft voiced one of the movers. In the 2010 DVD re-release of Toy Story 2, there is a special feature that talks about Ranft and his life and accomplishments. Following his death in 2005, most of Ranft's voice roles were taken up by his younger brother Jerome Ranft. ^ a b c d e f Woollcombe, Alan (August 23, 2005). "Joe Ranft". The Independent. Archived from the original on May 14, 2010. Retrieved January 24, 2010. ^ "Eric Larson, Disney Family Album: Part Three". ^ Cody, Bill (June 22, 2011). "John Lasseter Talks 'Cars 2' and the Memory of His Friend and Collaborator, Joe Ranft". ComingSoon.Net. Retrieved November 26, 2018. ^ "Pixar Artist's Corner - Joe". Pixar. Archived from the original on December 11, 2002. Retrieved September 5, 2015. ^ Scott Weinberg (August 19, 2005). "Pixar's Joe Ranft Falls to a Tragic Death". Rotten Tomatoes. Retrieved June 26, 2008. ^ a b Sheigh Crabtree (August 18, 2005). "Pixar Animation's Joe Ranft, 45". The Hollywood Reporter. Archived from the original on July 2, 2007. ^ Solomon, Charles (May 28, 2006). "With 'Cars,' Pixar Revs Up to Outpace Walt Disney Himself". New York Times. Retrieved May 20, 2017. ^ Solomon, Charles (August 18, 2005). "Joe Ranft, 45; Artist for Pixar Animated Films, Voice of Heimlich in 'A Bug's Life'". Los Angeles Times. Retrieved May 20, 2017. ^ a b c d Soloman, Charles (August 18, 2005). "Joe Ranft, 45; Artist for Pixar Animated Films, Voice of Heimlich in 'A Bug's Life'". Los Angeles Times. Retrieved March 24, 2019. ^ "Disney Legends « Disney D23". Legends.disney.go.com. Retrieved May 18, 2013. ^ a b c d e f g "Joe Ranft". AFI Catalog of Feature Films. Retrieved March 24, 2019. ^ a b Sragow, Michael (November 23, 1999). ""Toy" story man". Salon. Retrieved March 24, 2019. ^ a b c d e f g "Pixar exec dies in car accident". Variety. August 18, 2005. Retrieved March 24, 2019. ^ a b c d e f "Joe Ranft at Behind the Voice Actors". Retrieved 2017-11-04. ^ "Joe Ranft". British Film Institute. Retrieved March 24, 2019. ^ a b Lowry, Brian (June 4, 2006). "Film Review: Cars". Variety. Retrieved March 24, 2019. ^ Amidi, Amid (2017). The Art of Pixar Short Films. Chronicle Books. pp. 41–42. ISBN 9781452165219. Michael Sragow (November 23, 1999) "Toy" Story Man. Salon. 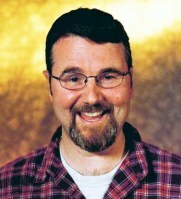 Peter Hartlaub (September 17, 2003) The secret of Pixar's magic can be found at CalArts.... San Francisco Chronicle. Remembering Joe Ranft by John Musker, via Pixar Planet.